Glass Reinforced Polymer (GRP) section types are perfectly suited to the interior, exterior and aggressive environments where industrial chemicals or acid/salt air may quickly corrode metal systems. A process of pultrusion using glass reinforcements and thermosetting resins. Available in steel grey or high visibility safety yellow. 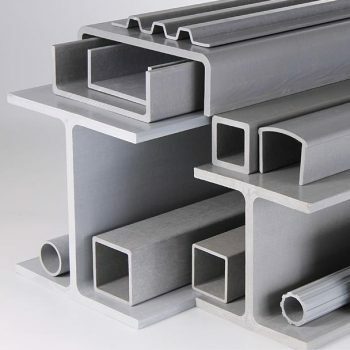 EN 13706 is a European standard valid for pultruded profiles for construction purposes which are defined according to the standard as “where the load-bearing characteristic is the major criterion of design and where the product is part of a load-bearing system”. The standard specifies the minimum requirements for the quality and tolerances, as well as the strength and stiffness ratios of the structural profile. Specifications and performance data for this product range are available upon request. *Note: minimum order quantities & lead times may apply. Please contact us for further information. Glass Reinforced Polymer (GRP) section types are perfectly suited to an interior, exterior and aggressive environments where industrial chemicals or acid/salt air may quickly corrode metal systems. Commonly incorporated into new build & refurbishment designs alike, they have shown proven in-service performance for 50+ years. 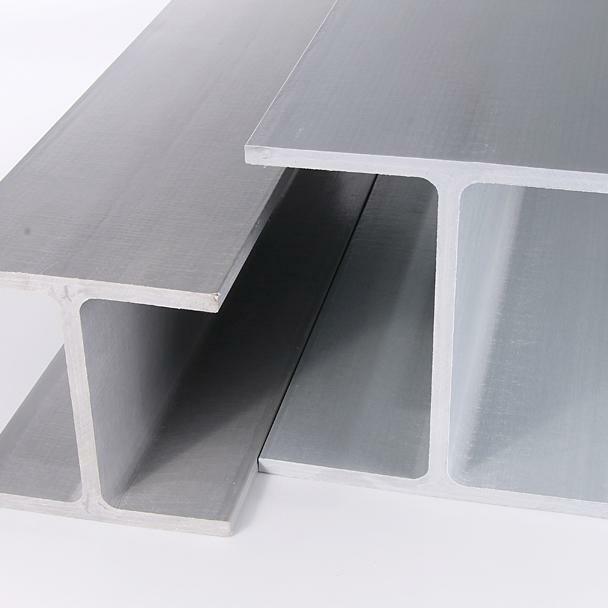 A sample of the range of structural profiles is listed here. There are other types available, please contact us with your enquiry for further information. All are produced by the process of pultrusion using glass reinforcements and thermosetting isophthalic polyester resins with an applied surface veil. Profile sections are designed and manufactured to meet or exceed EN 13706 E23 or E17 quality. 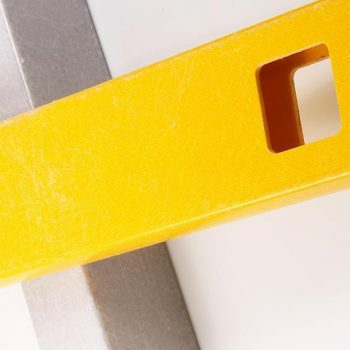 All profiles are available in standard lengths of 6m with other cut lengths, resins or colours available (subject to minimum order quantities). Available in standard steel grey colour (or high visibility safety yellow to order), GRP pultrusions provide all the advantages of lightweight, high strength and durability, coupled with a corrosion resistant, non-conductive, fire retardant and virtually maintenance free life. 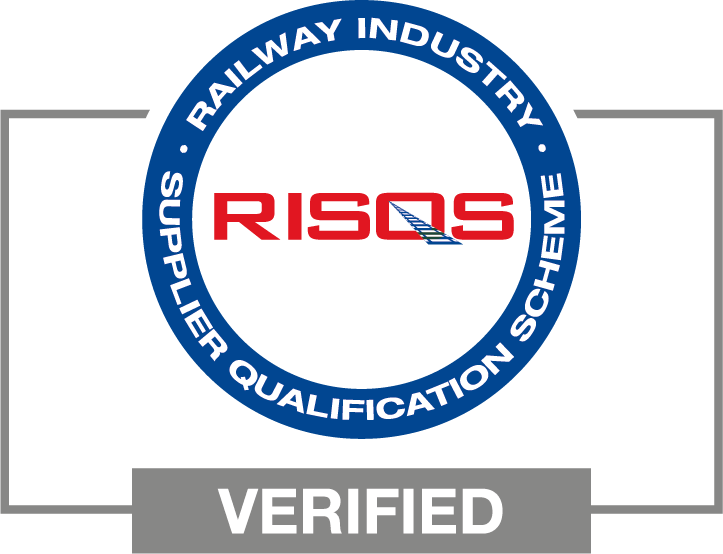 The resultant structures provide for worker safety in a wide variety of exposed locations in all industrial and commercial environments e.g. water treatment works, marine & railway applications, manufacturing facilities, walkways etc.